This qualification provides New Zealand organisations and communities with graduates who have attained a range of introductory digital technology skills, and who can be employed in a range of general entry level roles. Graduates are capable of using digital technologies to produce and process information, and operate effectively with a range of skills that will be internationally relevant. They will also be able to perform a range of basic tasks independently in familiar situations, and in a supervised work environment. There are six possible options to achieve exactly 40 credits for the graduate outcomes of this qualification. 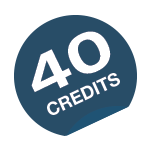 There are many more options resulting in more than 40 credits that are possible. If these options do not suit your unique needs, then determine any combination of standards and your own additional specific content to ensure your programme will meet the required qualification outcomes. Graduate Profile Outcome 1: Use the main features, functions and settings of common digital devices and software to create, access, organise, present and store information and data relevant to the context. Graduate Profile Outcome 2: Use internet and common digital devices and software to connect with other users and devices. Graduate Profile Outcome 3: Demonstrate knowledge of the types and purpose of common computing hardware, software and terminology to assist with choosing the right tool for the task. Graduate Profile Outcome 4: Recognise basic security risks and compliance requirements when using digital devices and software, and identify procedures and solutions to implement basic security in a home, work or study context. Graduate Profile Outcome 5: Troubleshoot and fix simple or routine computing and connectivity problems.